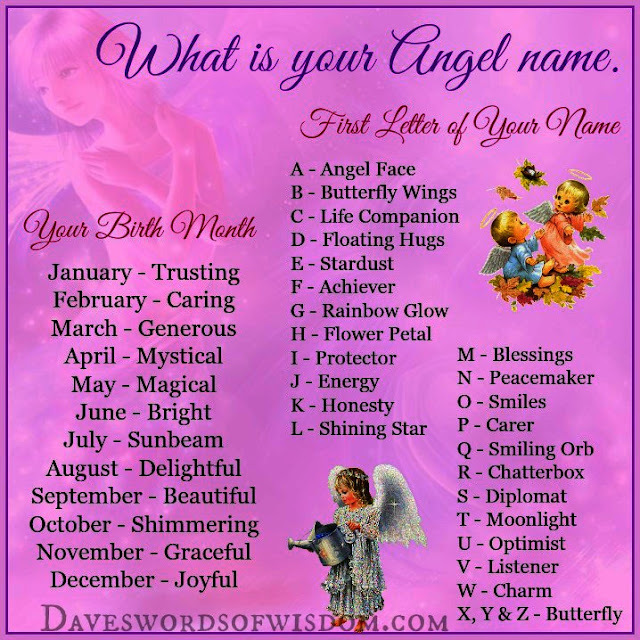 Daveswordsofwisdom.com: Discover Your Angel Name? May your Angel Name bring you luck, blessings and comfort. My birthday is in May.My name is josephine So does that make my angel name Mayj. Magical Energy... you look at the chart, May is Magical, the first letter of your first name is J for which the chart shows the word Energy. Hope this helps.